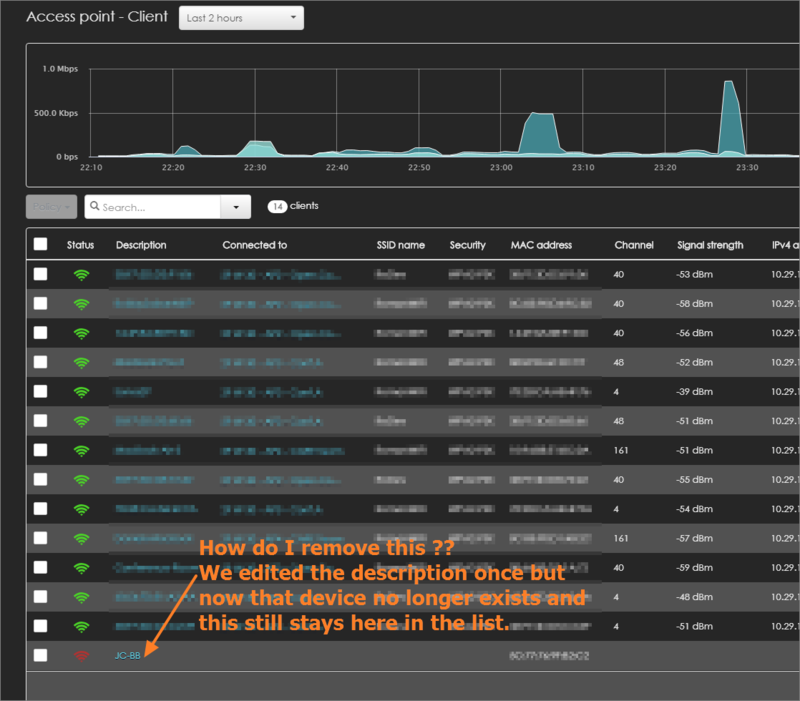 Discussion How do we remove a device that no longer exists from the Clients list? How do we remove a device that no longer exists from the Clients list? How do we remove that old device where we've once edited the description before? It still exists in the Client list even though the device has been gone from the network for days now. There are two situations that the clients can't be removed. If you mean the 2nd scenario, it's likely to be a bug and under fixing. This is currently not supported yet, but it's in our roadmap and expected to release in next year (2019). OK please keep everyone posted when the fix is available.